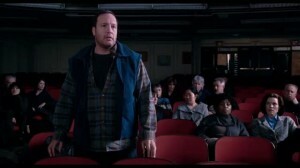 Kevin James stars in the Columbia Picture release Here Comes The Boom. Here Comes The Boom, which arrives in theaters October 12, 2012, is an inspiring comedic/romantic tale of triumph, triumph over what others say you can’t do but have a passion for. Kevin James (Mall Cop, Zoo Keeper) stars as Scott Voss, a former college wrestler now a biology teacher in a failing high school. He finds himself standing up for the job of the music teacher played by Henry Winkler (“Happy Days,” “Royal Pain”). Everyone thinks Scott has gone crazy when he decides to raise the money needed to keep the music teacher’s job by fighting in Mixed Martial Arts (MAA) competitions – with a surprising end. Salma is so right, Here Comes The Boom has the comedy for all ages, the high school scenes for teens; the mixed martial arts for the men (or sports loving women); a wide range of inspiring music for the music lovers, and the romance between the characters of Kevin and Salma for the sentimental adult viewers like me. Kevin really seemed to display real skills in wrestling, that’s how good his acting is in this film. I walked away seeing him – as an actor – in a “whole” new light. Salma’s character, Bella, was the only one in his corner in the beginning when everyone thought he lost his mind with the plan to save “music,” but in the end they were all believers. “If anyone could do that in real life, he (Kevin) could,” Salma pointed out. A Hey Eddie/Broken Road/Happy Madison production, Here Comes The Boom was directed by Frank Coraci, written by James and Allan Loeb, and produced by Kevin and Todd Garner. Executive producers are Adam Sandler, Jack Giarraputo, Jeff Sussman and Marty P. Ewing. The Rated PG film arrives in theaters October 12, 2012. For the movie trailer or more on Here Comes The Boom, starring Kevin James, Salma Hayek and Henry Winkler, log onto www.Boom-Movie.com. *I was totally impressed with the vocals of Gospel artist Deanna Ransom on her newest album release “Never Say Never…Again” (NuVybe Records). Reminiscent to me of Faith Evans with a touch of Jazz influence, Deanna Ransom offers an excellent Praise and Worship project with production by Grammy Award winning producer Herb Middleton. The 13 selections on the CD offer a range that showcases the style and power of her voice. The result of the reunion is a powerful and inspirational piece. My favorite cuts on the album include “On Our Side,” which brought tears to my eyes – a lovely love song; “Hallelujah,” has an Island/Caribbean feel to it; “Never Say Never,” a powerful Praise and Worship selection; “I Am Healed,” a great testimony, and “Rise Sistah,” featuring Melba Moore and J. Wright Middleton, for its spoken word and inspiration anthem theme. Also on “Never Say Never…Again” is John “The Rap-tist” Gallagher featured on the “God of Promise” and “It’s Working” selections. 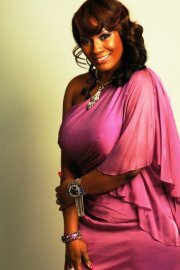 For more information on Deanna Ransom and her newest album release, “Never Say Never…Again” log onto www.DeannaRanson.com.